This family-friendly Sinalunga hotel is located in a rural location, within 2 mi (3 km) of Val di Chiana, Valdichiana Outlet Village, and Golf Club Valdichiana. 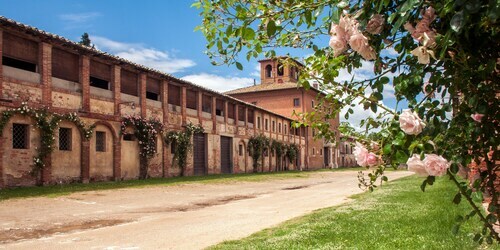 Museum of Lucignano and Farneta Abbey are also within 9 mi (15 km). Situated in Sinalunga, this golf townhouse accommodation is 2.2 mi (3.6 km) from Valdichiana Outlet Village and within 16 mi (25 km) of Consorzio del Vino Nobile di Montepulciano and Piazza Grande. 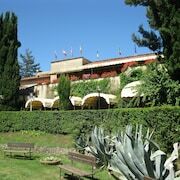 Museo dell'Accademia Etrusca and Terme di Montepulciano Spa are also within 16 mi (25 km). 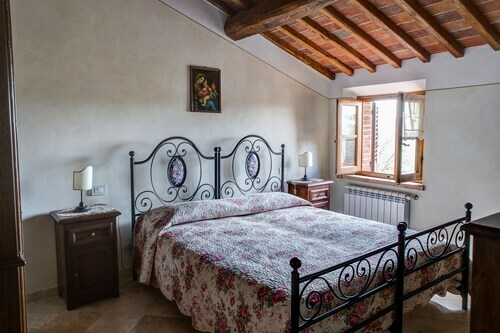 Situated in Sinalunga, this farm stay is within 12 mi (20 km) of Church of St. Agnes, Tenuta Valdipiatta, and Cantina Contucci. Palazzo Ricci and Pienza Cathedral are also within 16 mi (25 km). Situated in Sinalunga, this apartment building is 0.1 mi (0.1 km) from Val di Chiana and within 6 mi (10 km) of Torre Il Cassero and Collegiate Church of Lucignano. Piazza del Tribunal and Museum of Lucignano are also within 6 mi (10 km). Sinalunga Rigomagno Station is 16 minutes by foot. How Much is a Hotel Room in Sinalunga? Hotels in Sinalunga start at $91 per night. Prices and availability subject to change. Additional terms may apply. Wise travelers are simply spoiled for choice when it's time to start looking for the best hotels and apartments in Sinalunga. Travelocity currently lists an impressive 40 comfortable places to unpack your bags within 6 miles (10 kilometers) of the heart of Sinalunga. Want to come across a place to stay that can be reached on foot from the heart of Sinalunga? La Pia Dama - Residence and La Casalta is worth looking at. The Hotel Apogeo is a more economical accommodation option. It's nicely positioned 4 miles (6 kilometers) from downtown Sinalunga. For another budget option, you may like to check out the amenities and rates at the La Foresteria. 12 miles (20 kilometers) outside of the city center of Sinalunga, you will find the Castel Monastero. 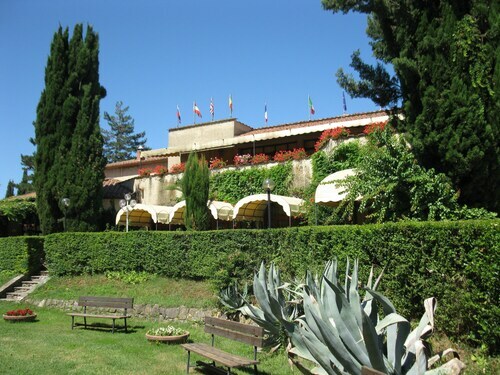 Alternatively, the Castello di Velona SPA Resort & Winery can be found approximately 20 miles (31 kilometers) away. Some other possible Travelocity-listed accommodation options are the Adler Thermae Spa & Wellness Resort and the Villa Armena. The greater Tuscany area is definitely well worth visiting as well. Tuscany is well known for its rural landscapes. The best visitor places of interest are ruins, castles and traditional villages. Wise visitors in this area of Italy will enjoy snowboarding. 35 miles (55 kilometers) away from Sinalunga, you will reach Val d'Elsa, which is where you can spend a few hours exploring Archeological and Collegiate Church Museum and Torre Rognosa. Val d'Elsa rooms include the Tenuta Di Mensanello and Torraccia di Chiusi. Alternatively, you could stay in Val d'Orcia, 16 miles (26 kilometers) southwest of Sinalunga, where you can choose from the Hotel Osteria Dell Orcia and Locanda del Loggiato. If you visit Val d'Orcia, be sure to explore the Collegiate Church of San Quirico and Palazzo Chigi. Before saying your farewells to Siena, ensure you join the locals watching some local teams. Swing by Stadio Artemio Franchi, which you can find northwest of Sinalunga. Travelocity users that are thinking of booking a room not far away, book in the Four Seasons Hotel Firenze or The St. Regis Florence. Peretola Airport is situated 50 miles (77 kilometers) away from the heart of Sinalunga. 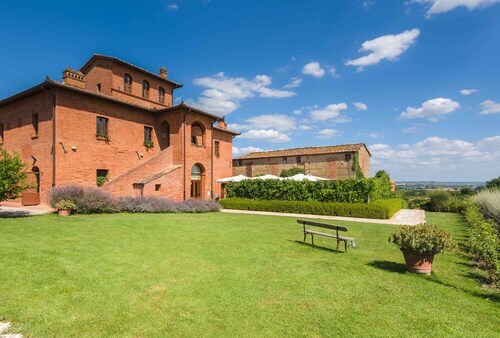 Modern travelers who would like to find a hotel nearby can look into a night at the Torre di Bellosguardo or Sina Villa Medici. Podere LA Selva 8+2 Sleeps, Villa With Private Pool at Exclusive Use!